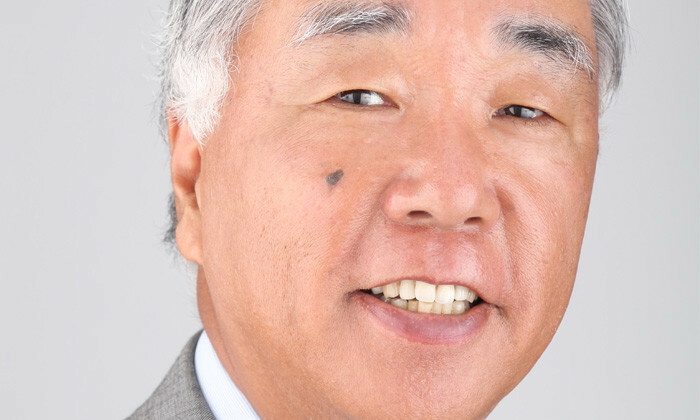 Kensaku Konishi, president and CEO of Canon Singapore, explains why networking, both internally and externally, is a must in achieving leadership success. What helped you attain this leadership position with Canon? I have been lucky enough to be given overseas assignments since I joined Canon. During my career, I have always tried to do whatever I have been assigned with great interest. I viewed my assignments as challenges to overcome and succeed. I think this was important because a positive attitude helps us to accomplish many things. In addition, I also networked internally and externally as much as possible. I discovered early on that meeting many people helps in an exchange of ideas that stimulates different ways of thinking, leading to better decisions. What’s your signature leadership style? As CEO, I make the final decisions for major business directions in South and Southeast Asia. But before that, I listen to feedback from my staff because I have empowered them with the authority to make business decisions. Also, I don’t hesitate to change my decision, even after implementation, based on facts and input from our customers as well as staff. What have you enjoyed most about your time with the company so far? Last year, Canon Singapore celebrated its 35th anniversary at Universal Studios Singapore. We booked the venue exclusively for the night for our staff, business partners and customers. We even invited our retired staff to celebrate the occasion with us. It was a night to remember and everyone enjoyed themselves tremendously. Before I make decisions, I listen to feedback from my staff because I have empowered them with the authority to make business decisions. If you’re struggling with work or stress, what helps you snap out of it? To unwind at the end of a stressful day, I will first try to forget the source of the stress. This is where a positive mindset is important. I then try to concentrate on things that can be managed and prepare for tomorrow. To re-energise, it is important to be physically healthy. That’s why I jog early in the morning. It gets me physically fit, refreshes me mentally and gets me ready for the day ahead. And if that stress spills over to your staff, how do you motivate them? As CEO, I empower my staff to make the necessary business decisions. If they face any difficulties, my door is always open and I will try to give the necessary encouragement, guidance and support. I also help to view the issues at a different angle and give them suggestions and ideas to help them along. What role does your human resources team play? A business organisation is made up of people. Therefore, HR is the biggest asset a company has, and the function plays a big part. It is the responsibility of HR to optimise manpower and help them develop their potential so as to achieve business objectives. If my staff face any difficulties, my door is always open and I will try to give the necessary encouragement, guidance and support. How can HR better itself in this endeavour? HR professionals need to have good fundamentals, systems and platforms in place so that staff can have a good working environment. They are a bridge between staff and management, especially when the organisation is huge or when it operates across various countries. In this situation, HR can act as a middleman or spokesperson between the CEO and employees to convey the CEO’s messages when it comes to company policies, plans and reasons behind new initiatives. In that light, do you believe HR can make it to the CEO level? The role of the CEO is unique in the sense that a CEO can come from any background, including HR. For an HR leader to become a CEO, he/she needs to be broad-minded and go beyond an HR mindset to be multi-disciplined. It’s important to note that great organisations are made up of great people. He/she must know how to build a winning team that can help achieve the company’s business goals. Having been in this industry for a long time, what do you admire most about it? I love it because it is a competitive industry that is constantly changing and innovating not only in technology, but also in marketing, channel strategies and customer service. Apparently, a messy desk can help employees think smarter and more clearly. If that's true, these people must be geniuses. ..
Public relations and communications staff in Singapore and Hong Kong want to jump ship for more money, but their salary expectatio..